After weeks of Anticipating the unveiling of Samsung Galaxy A8 (2016), the company has finally made Galaxy A8 (2016) official. 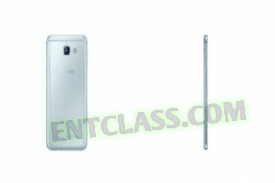 Samsung Galaxy A8 is designed in full flush Metal and slim unibody design. It also features an AMOLED 5.7 inches screen display at 1080p resolution. Packs a 3GB RAM + 32GB Internal storage. Other specs include 3GB of RAM and 32GB of storage. It comes with Samsung's own Exynos 7420 and formidable powerhouse with its four Cortex-A53 and four Cortex-A57 cores, built on a 14nm process. Coming to the camera, Samsung Galaxy A8 (2016) features a 16MP rear camera and a 8MP front facing selfie shooter. Running on Android 6.0.1 Marshmallow out of the box and also features the new Grace UX. Galaxy A8 features a fingerprint scanner in the Home button, Always On Display, supports Samsung Pay and packs a 3,300mAh battery capacity. 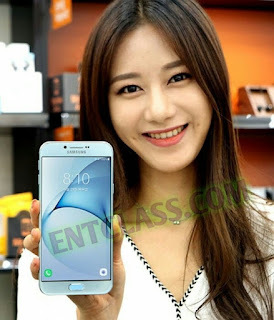 Samsung Galaxy A8 (2016) was officially announced in Samsung's home market. And there's no information about when the sale of this phone will begin. Meanwhile, Samsung Galaxy A8 will be priced at KRW 649,000, around $580 in USD.